IntelliPERMIT Mobile is a companion software application that extends and enhances the functionality of IntelliPERMIT to teams working in the field. This further enhances safety by taking into account changing local factors and conditions that were not considered when preparing and monitoring the original permit. 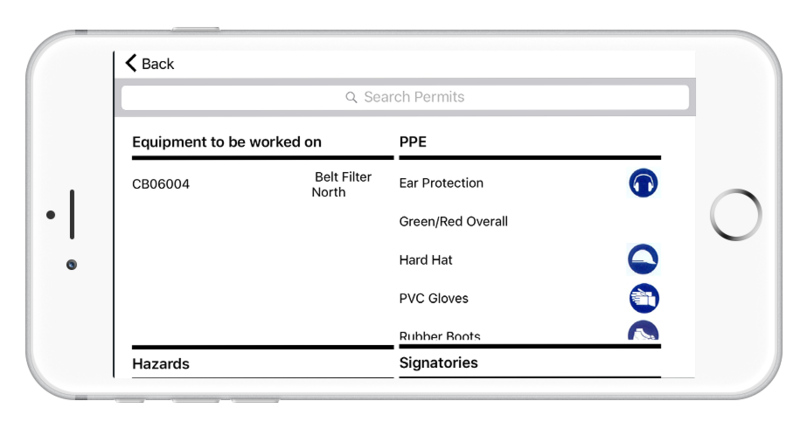 IntelliPERMIT Mobile includes functionality to authorise specific steps relating to a permit, as well as performing a Job Risk Assessment (JRA) from a mobile device in the field. IntelliPERMIT Mobile includes additional checks to ensure the integrity of the process is not compromised while working remotely. IntelliPERMIT Mobile empowers teams in the field to work more safely, become more productive while greatly improving the visibility of work in progress. In many situations, it is desirable to use a mobile device to be able to check on the status of a permit in the field. It is also sometimes very useful to be able to verify the status of work taking place, or that of an isolation, and communicate this efficiently back to the permit office or the control room. By communicating the status of work, isolations or permits using IntelliPERMIT Mobile productivity can be greatly improved and normal production can more quickly and safely restored. Record comments and other information relevant to the work being done that becomes part of the permanent electronic record. Is the IntelliPERMIT mobile device suited for use in hazardous areas? In certain industries like oil and gas, the risk of explosion requires the use of intrinsically safe devices in the field. This means that cell phones are not permitted. In this situation there are industrial-grade devices that are certified for hazardous areas and these can be used. These devices will generally work with the Windows version of IntelliPERMIT mobile. 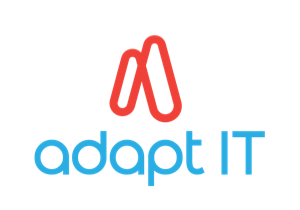 It is recommended you contact the specialists at Adapt IT who can advise on which devices will be compatible. Is the IntelliPERMIT mobile application capable of creating, approving or issuing a permit in the field? IntelliPERMIT mobile needs to work in conjunction with the main IntelliPERMIT application in the control room (or permit office for example). The mobile application only handles specific functions that are relevant in the field, such as inspecting the status of the permit, signing off specific permit stages and confirming isolations. Permit requests, creation, certain approvals and so on are managed by the main application. Will we need to install wi-fi throughout the plant? IntelliPERMIT Mobile works through the internet which can be accessed through an industrial wi-fi connection, or through the public cellular network service. It will depend on coverage on your specific plant. In certain situations such as underground mining, the public cellular service will not reach certain sections and wi-fi will be needed. What happens if there is no connection? IntelliPERMIT Mobile will continue to work with the most recent data when the network connection is interrupted. However because this can introduce inconsistencies resulting in unsafe conditions, it is not advised to use the application where there is no signal for extended periods. When the device sees a signal again it will synchronise changes to the main IntelliPERMIT server. How are transactions authorized on a mobile device? Transactions are signed electronically on the device in different ways depending on the capabilities of the device itself. For example if the device supports a fingerprint scan, this can be used to sign off a transaction. Alternatively the use of a PIN lock code is possible or a password. The system will record the device ID, the signature, the time stamp and other details relating to the transaction, making it a relatively reliable mechanism for validating users in the field. Does IntelliPERMIT Mobile electronically link through to work order information? Yes. For example JRA’s can be electronically linked to any related work orders and permits making this information available to teams in the field. Work orders typically originate from work requests or schedules in an external planned maintenance system. Do you need the mobile app to do Job Risk Assessments? The Job Risk Assessment functionality has been specifically designed for mobile devices in the field where the risk assessment is normally done. It is possible using a Windows 10 laptop or desktop computer to perform a JRA as well should this be required. We recommend customers check with the IntelliPERMIT team at Adapt IT as to what mobile devices and computer platforms are supported as these are being added to all the time.